It is asserted that the employment potential and prospects in the IT and related sectors are robust and promising. Some of the reports to the contrary in the media space are highly exaggerated and unfounded. To present an objective and realistic potential of the employment scenario, the Ministry apart from its own feedback, has taken note of projections by NASSCOM, the principal Industry body, as well as of other well-known independent organizations and consultants working in this field. 2.5-3 million new jobs will be created by 2025. 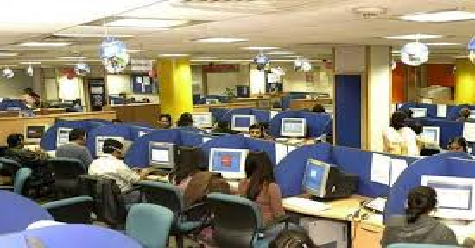 IT industry added 600,000 in last three years and today, boasts of a total employee base of 3.9 million. Team Lease analysis for 2017-18 reports that IT sector hiring sentiments is positive and is up by 4% in October 2016 to March 2017, compared to the previous six-month period. Recruitment and staffing firm Randstad projects (in December 2016), a cumulative growth rate of 9% in the IT / ITeS job market. The Indian technology startup sector will offer strong and growing employment prospects to Indian IT professionals. According to NASSCOM, in 2016, Indian technology startups employed 95,000 to 100,000 IT professionals, across more than 4,750 startups (including ecommerce and hyperlocals). India’s domestic IT market offers strong prospects for industry growth (consequently employment), even if global markets were to face challenges. • India’s total software product market grew at 9.5% in FY2017 to reach USD 7 billion. (Exports grew 7.8% to reach USD 2.3 billion.) In comparison, the domestic market grew much faster, at 10.4%, reaching USD 4.8 billion. • India’s overall domestic IT/BPM sector is expected to grow at 8.5% from USD 35 billion in 2016 to an anticipated USD 37 billion in 2017. • CSC has generated 10lakhs local level employment by way of village level entrepreneurs. • Total employment in IT/ITES Industry employees is 4 millions as direct employment and 1.3 Crores as indirect employment. • State-owned Software Technology Park of India (STPI) has generated 50% of the employment generated by the Indian IT/ITES industry. It is to be noted that out of 56 STPI centres, 48 are located in tier-ii and tier-iii location, benefitting the qualified youth of such locations. • To encourage Northeastern part of India, MeitY has a separate Northeast BPO promotion scheme with 5000 seats and having employment potential of 15000 persons. This would go a long way to help the employment scene in northeast region of India. • In Mobile phone manufacturing, 72 new mobile manufacturing units started only in last 30 months. It has created 1 lakh direct and 3 lakh indirect jobs in India. All major brands like Apple, Samsung etc. in the ICT sector are manufacturing or ready to manufacture in India. The emerging and promising digital economy in the country is going create a very powerful potential for job creations. The Govt is encouraging greater stress on cyber security and this will lead to greater focus on innovation, research and thus significant potential for job creation. 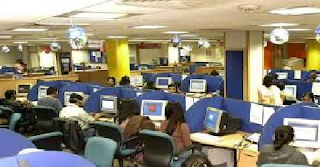 Employment prospects in India’s IT Sector: Robust Outlook Government of India NASSCOM has confirmed that the industry continues to be a net hirer and reports that: 2.5-3 million new jobs will be created by 2025. In FY 2017, the industry added 1,70,000 new jobs. NASSCOM has already publicly contradicted reports of large scale layoff IT industry added 600,000 in last three years and today, boasts of a total employee base of 3.9 million.